In just one week, Turkey has demonstrated how skilfully it manipulates NATO’s realpolitik, thereby simultaneously achieving its own ends in terms of home politics, without keeping any of its promises to its partners. And getting praises from world leaders to boot. Ankara’s carefully crafted campaign has gone full circle from the massacre last Monday in Suruç to the bombings of the Kurdish villages of Zor Mixar and Tel Findir in Rojava, with in its centre Kobani which represents everything Erdogan’s ruthlessly autocratic government opposes. So far, no-one seems to have attempted a thorough examination of regional maps which would prove extremely instructive and educational. For a start, all these localities are situated in a fairly narrow perimeter, all close to the buffer zone Ankara has obtained from the US in exchange of the US Airforce use of Turkish airbases at Incirlik and Diyarbakir. How useful is this really? Theoretically, the heftier Turkish military presence should bar any crossing over from Jihadi recruits and their ammunition. Something which remains to be seen in view of the by-now notorious cooperation between ISIL and Turkey . However, the buffer zone runs right in front of the Kurdish cantons of Kobane and Afrin and efficiently halts any possibility of uniting them. This puts a stop to the process which had started on June 15th 2015 when the canton of Kobane had effectively been linked to that of Hasake, through the victory at Tel-Al Abyad. The aim of Rojava supported by the PKK since it gave up its Marxist-Leninist credo, is NOT territorial independence as Erdogan never ceases to claim, but self-rule in the form of an autonomous province in a peaceful Syria. The Rojava social and political project is unique in its kind and resembles only the Chiapas in Mexico with its emphasis on democracy, equal rights, secularism and a refusal of the global market economy. The total opposite of ISIL and any other government in the Middle East including Erdogan’s dream of turning Turkey into a softer, Mediterranean version of Saudi Arabia . If the buffer zone will be effective against the Kurds in Rojava, can the same be said as far as ISIL is concerned? Out of about 900 km of borderland between Turkey and Syria, just under 100 km will be officially taken care of. But this leaves another 800 km, much of it probably impassable but nevertheless includes some tried and tested passage points. In particular the province of Hatay, further west. 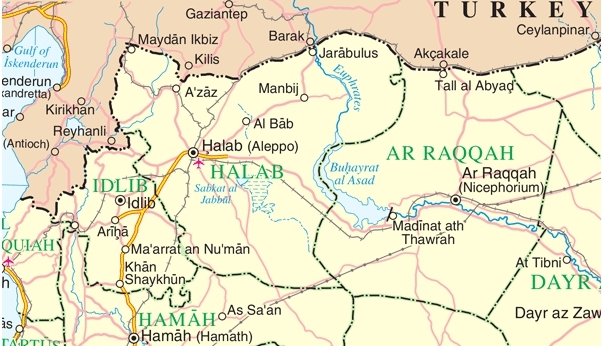 Its capital Reyhanli, also known as ‘Little Syria’ because of its large refugee population is known to be an active centre not just for ISIL but other related groups with comparable ideology and methods. According to reports from the centre-left daily ‘Cumhuriyet’, dated June 11, 2015, ISIL warriors and their hardware were transferred from Syria via Reyhanli in Turkey back into the province of Şanlıurfa in Syria. The reason for this was that they were unable to cross Kobane canton, the male and female battalions of the Kurdish YPG (People’s Protection Units) /YPJ (female Protection Unit) proving to be too much a challenge. Which is why as we all know the US has been sending air support. Cumhuriyet] also stated these ISIL convoys were protected by the Turkish secret services, no less , which it seems had even organised the bussing of ISIL troops. There is nothing to suggest that such a meticulously organized operation is in the least exceptional. When will someone get up and tell Obama and the rest of NATO that aid to Turkey and the creation of the buffer zone is only intended to quash the Kurds and certainly not to fight off ISIL which can only benefit from Turkey’s newly laundereed credibility. So, who is taking care of the true business at hand which was the raison d’être of the Coalition in the first place? Turkey has not conducted any raids since the first – and seemingly last- one last Friday, whilst promising to “participate actively ” next time. But however Turkish police have been doing overtime in terms of repression and mass arrests at home. About a thousand presumed activists of every ilk (supposedly) but especially left, far left, Kurdish or not Kurdish are behind bars, a woman gunned down by the police. The only ones who have not given up the fight are the true boots-on-the-ground Kurdish Rojava forces. After a month-long siege, on July 27th YPG/YPG took back the city of Sarrin on the Euphrates from ISIL with the assistance of allies of Al Burkan Firat, a unit that combines elements of Free Syrian Army, and the YPG and air cover from the US. . If the general public continues to be justifiably worried about all the wannabe Jihadis who are flocking to Syria, they need only to consider that henceforth it might be even easier to join the Jihad than before, thanks to the NATO-agreed policies. Last April, nine Britons were arrested trying to cross the frontier at Hatay. This city (amongst other possible points of entry into the war zone) is conveniently situated at no great distance from major tourist resorts such as Adana, so getting into Syria will be easier than ever. A couple of swimsuits, goggles in a bag and a hotel reservation will do. Carol Mann © 2019 All Rights Reserved.